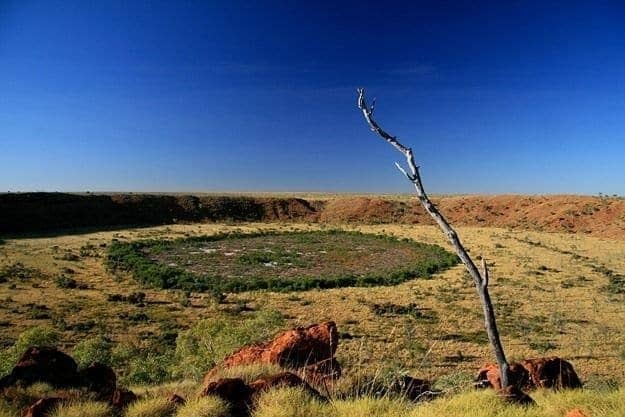 Out in Western Australia’s remote outback is the quite remarkable Wolfe Creek Meteor Crater. This was formed as a result of 50,000 tonnes of rock (think large battleship size) crashing into the earth around 300,000 years ago. 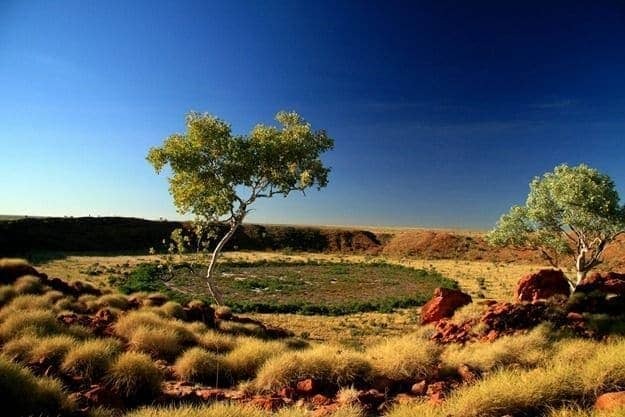 Made infamous as a result of a 2005 horror film, the crater is an incredible sight, set in truly stunning outback scenery. 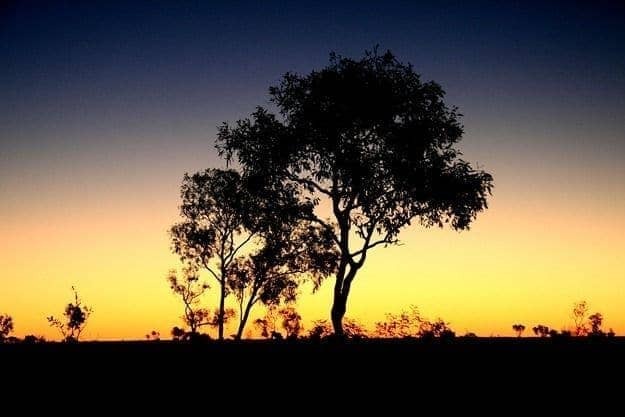 It isn’t that accessible, and you’re going to want a 4WD vehicle ideally to get out there, but the wilderness you will find is totally worth the effort. Today’s photos will hopefully give you a glimpse of what is out here, in the middle of Australia’s incredible outback next to an ancient 800 metre wide meteor crater. The sign. In case you’d driven 800km by mistake. 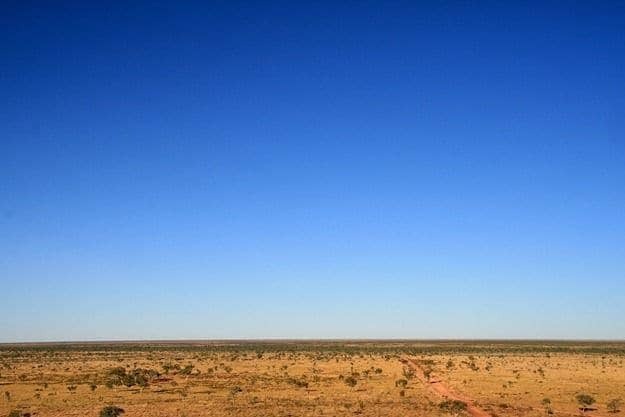 The surrounding outback from the crater rim. 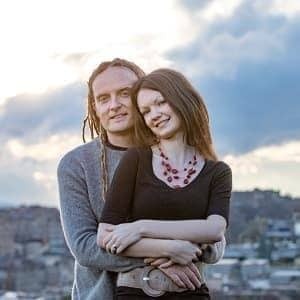 Hills do not feature heavily. Sunset from the crater rim. This place is both spectacular and deserted. Looking into the 800m wide crater. You can walk around it, which takes just under an hour, and walk into it, which takes less time. A panorama of the crater just after sunset. And finally: the kind of sunset view that reminds me how awesome life is. The stars at night are pretty damn spectacular out here too – light pollution not featuring heavily! 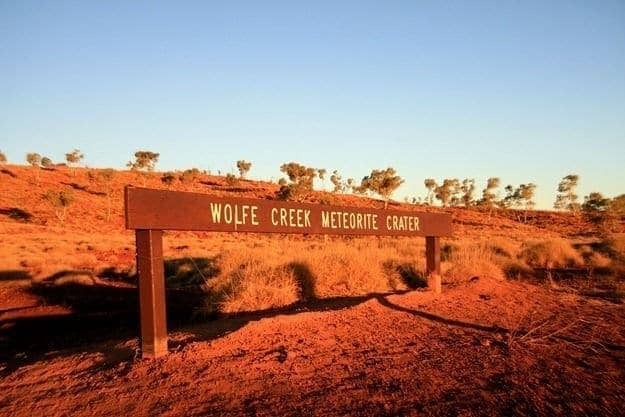 So that’s the Wolfe Creek Meteor Crater. I’d recommend spending a couple of days out here just to soak it all in (and make the journey worth it!). 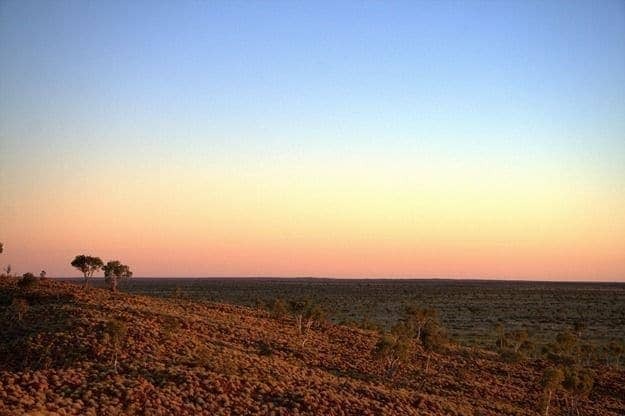 And while you’re in WA, you should check out some of the other incredible highlights this state has to offer.